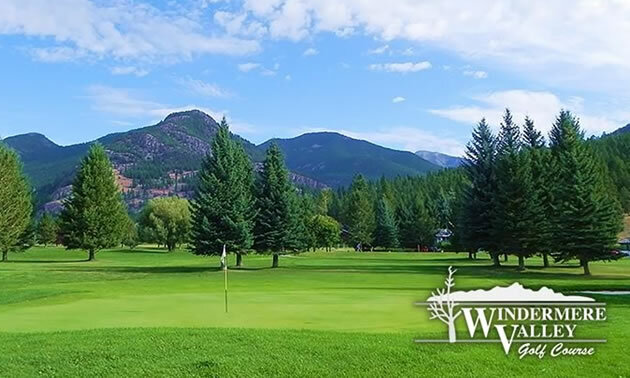 GolfWest List: Top 10 Kootenay’s Shortest Golf Holes—Beware! Up for challenge? 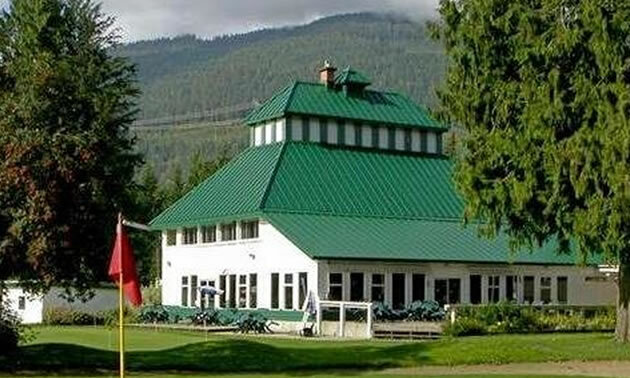 Try your swing at one of the shortest holes in the Kootenays. I don't know about you but my golf game always brightens up whenever a short par 3 hole appears. However, as the local pros are quick to point out don't be lulled into thinking these short yardage holes are easy gimmes. 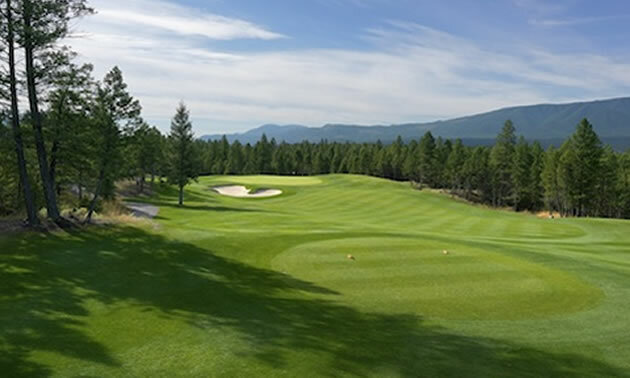 Course designers have craftily placed sand traps, water hazards, rolling greens and other obstacles into their course layouts to make sure these seemingly automatic pars are often every bit as challenging as some their longer fairway kin. 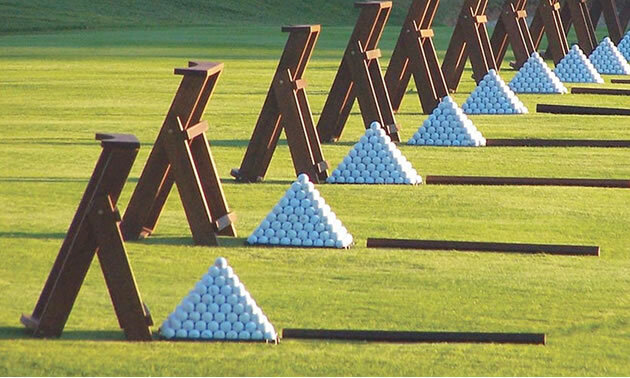 Beware—these shorties can bring their own frustrations, so pick the right club and remember accuracy beats power on these little gems. 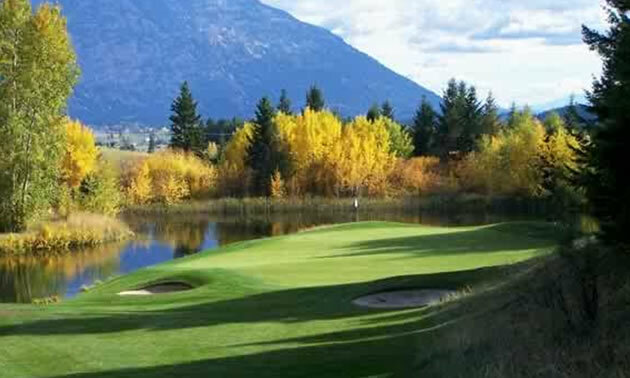 Creston’s most “ace-able” par 3. It should be easy, but beware of a back pin on a windy day. 3. 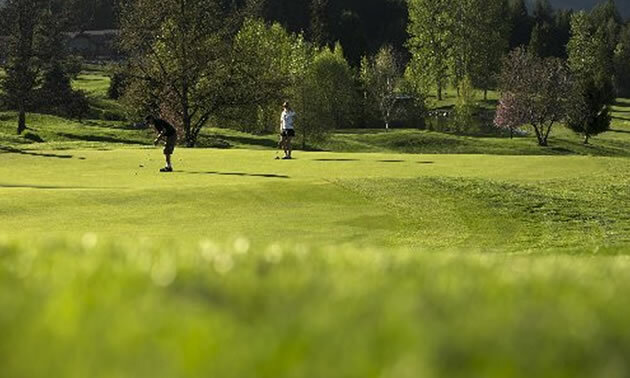 Revelstoke Golf Course, hole #14—133 yards. Short and straight away. Watch for trees to the left and a sand trap to the right fringe of the green. Plays straight away to small oval green with a generous sand trap to the left and heavy woods to the right. Don’t let the short yardage gem fool you here. Pick the right club to avoid the pond fronting the narrow elevated green. Par is an excellent score on this challenging little hole. The first of many shots back and forth across the headwaters of the mighty Columbia River. This short hole is a definite challenge when the pin is located right behind the sand. Obviously with the river swirling along the front side you don’t want to be short but don’t over club, there’s not a lot of room behind either. Correct club selection gives you a good chance at par here. Short and picturesque, this par 3 with water along the left side can be a challenge. A tee shot that misses right will leave a difficult pitch. Again, correct club selection is a must and it brings a good chance for par. Pretty much straight away to a panhandle shaped green. Trees are on both sides and a small sand trap to right of the green. 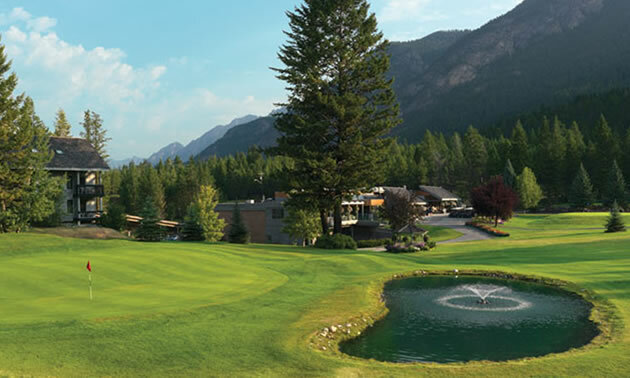 Par 3 for sure – a good hole in one prospect. The last of the famous Springs par 3's. This hole requires precise distance to land on this larger but very shallow green—pick your club carefully. 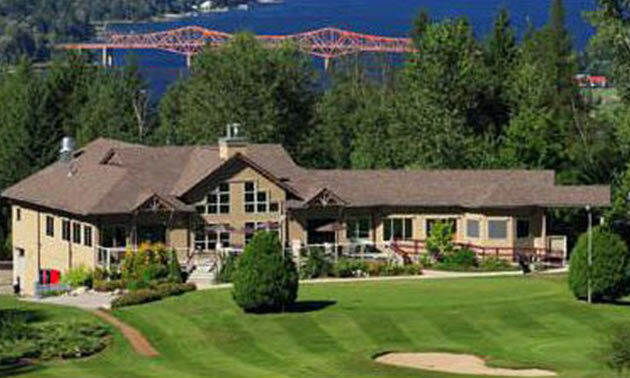 This fun par 3 features the infamous Fairmont Creek. It has seen a few changes since the big mud slide of 2012. The now rock-lined creek makes for a beautiful view but be sure to take enough club on this short hole—because if you miss, it’s better to hit it a little right as the slope will kick the ball back onto the green. Have fun! Pretty much a pure water play. Your shot needs to clear a large pond which lays from tee to green. Right club selection is a must on this watery challenge. 10. 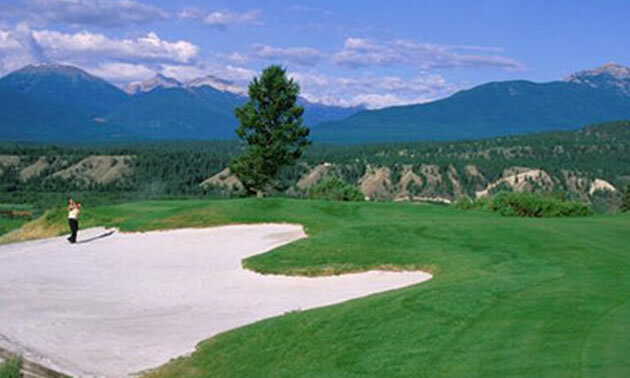 Kimberley Golf Course, hole #15—151 yards. This is a hittable green, a bit of relief after what lies behind it. Sometimes bouncing down the hill on the right side to a blue flag is a good shot—depends on how dry and hard the hillside is. Remember, this green breaks left. 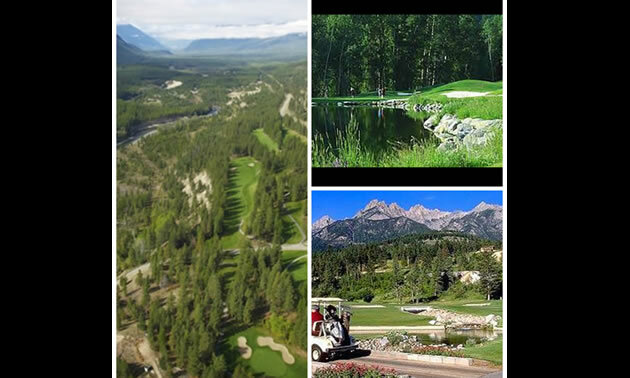 Disclaimer: Please note not all photos are of the exact golf hole—some are general photos from the aforementioned course list.